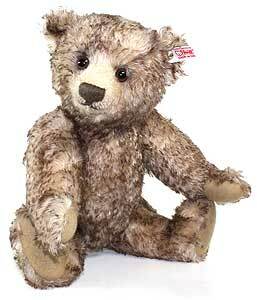 Ben Teddy Bear by Steiff is loosely jointed and hand made of the finest beige & brown tipped mohair. This beautiful piece wears the famous gold plated Steiff Button in Ear and white tag. (Warehouse find - only 1 in stock) This product is not a toy and is intended for adult collectors only.